With innovation in technology at an all-time high, the business world is constantly transforming. One thing that hasn’t changed is the importance of a successful marketing campaign. Marketing remains paramount to a company’s success and can convince customers to choose one product over another. 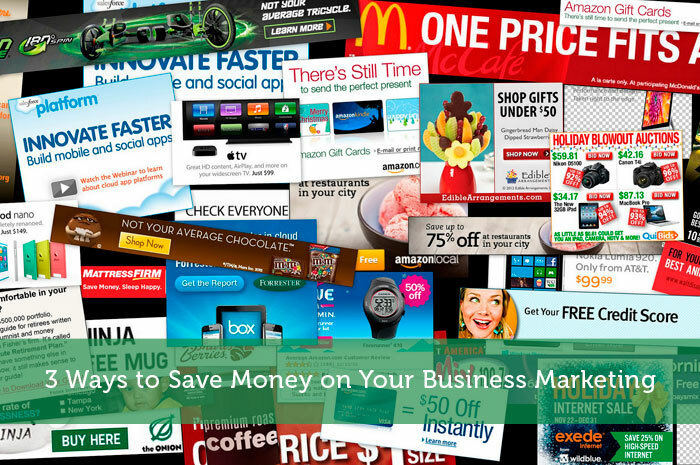 To avoid wasteful spending on your marketing campaign, you should plan carefully, targeting a particular niche market, while utilising “free” methods of advertising. Here are three cost-effective ways to generate buzz for businesses. Posters are a cost effective form of advertising for your product or service. They enable a company to improve its visibility and build awareness with a diverse audience. Despite shifts away from print in magazines, print based advertising is still an influential market. Before ordering your poster prints, consider the length of your campaign. Prints come in a range of materials with differing resilience, such as paper, matte and foamex board. Matching your campaign with suitably durable advertising material ensures you won’t waste money on unsuitable resources. For example, for a temporary advertisement of a few days or weeks, a poster print should suffice. If you want your poster advert to last through the month, think about printing onto foamex boards which won’t wear away as easily and are weather resistant. Accessing a broad but targeted market online has become easier through social media. Social media has become a key player in buyer-brand interactions, which for better or worse has led to both embedded ads in timelines, as well as more direct advertising. Taking word of mouth to the digital sphere, users have gravitated to social media sites for information and interaction, with 46% of customers using social media as a primary source in their purchase decisions. Access to social media is largely free, with advertising options available to suit any budget. Therefore social media is a great platform for your business to get exposure with potential customers. Social media platforms also enable a business to reach a wider audience within a shorter amount of time. With 1.35 billion active Facebook users and more than 304 million Twitter users, creating business accounts on the social media giants allows a company to engage with a larger target audience instantaneously. Each social media platform presents an opportunity for businesses to form unique relationships with a wider consumer base, share material and provide marketing potential. Avoid spamming potential customers with countless promotions. Over-saturation will only disengage readers and could get your posts penalised on sites such as Twitter and Facebook. Instead, get involved in conversations that discuss products similar to your own and make social media users aware of your services that way. A good business profile should include an authentic description, relevant keywords and a link to the company website. One of the most valuable marketing tools is video content. Rather than splashing out on an expensive TV commercial it is worth creating video content for your website. Video can be a powerful way to show – instead of tell – what your business is all about. Video has been shown to move an existing site to the first page of a Google search within 30 minutes of adding it. A study also found that customers who see a video on your site are 172% more likely to buy your product or service. There are several ways to use video content on your website. On the “about” page, why not talk directly to your site visitors explaining who you are and what products or services you provide. This can be a great way to show your unique personality. Other ideas include uploading tutorials on how to use a particular product, or a montage of previous customers discussing their experience with the product.